However, with the rise of social networks, collaborative tools, and mobile devices, communication has changed. Internal social networking software has been replacing email for business communication in recent years. Whether employees are logging into a community intranet and getting up to speed on the latest conversations, or adding events and meetings to a shared calendar, they are spending more and more time with shared social components outside of their email inboxes. 1. You will save tremendous amounts of time. When you're using social collaboration software, you use email more as a notification center. You receive emails informing you that a new conversation is occurring on the social network, with a link to join and participate. 3. There will be less confusion. Understanding and relating to a whole thread of forwarded emails can be quite time-consuming as well. By eliminating email and instead having a common dashboard where all the information is shared at one time with just the right audience, online collaboration tools offer direct communication without the hassles and confusion of email. Looking for a file attachment in one of those cc.ed emails? 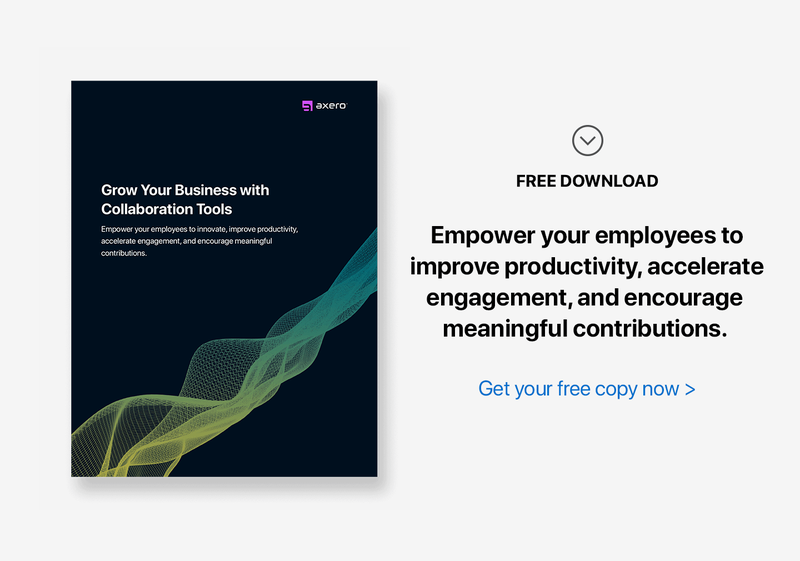 Avoid the frustration of burying your nose back in email when you can quickly search through your collaboration software to find, manage, and update documents and file attachments. These files are more readily accessible and identified. Instead of being locked in an individual email account, these files are visible and can be shared quickly. 4. You will experience more meaningful collaboration. Online collaboration tools are more effective for working with others on a project than email. 5. Information will become more searchable. 6. You will find more efficient ways to communicate. 7. You will build trust with transparency. Collaboration software includes different functionality ranging from microblogging and wikis, to instant messaging and discussion forums, to notifications and document sharing. It can help people within an organization connect and communicate more effectively. Social collaboration software helps business professionals work both inside their organizations and outside, enabling them to integrate their internal and external communications more seamlessly. Simple measures you can take for immediate improvement. In the early fall of 2013, the executive team enrolled in training to reduce email ... and they did this through more effective decision-making ... ranging from selecting emails more carefully to forward to team members and to limiting the number of recipients. They also replaced some communication by direct communication in person or on the phone. Within three months, the entire email communication decreased by 54%. The growing nature of social business. Empowering people = better engagement.